On Sale! 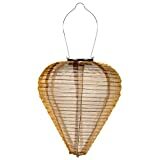 Up to 9% off on Paper Lanterns at Verso Laquila. Top brands include asddcdfdd, Allsop Home and Garden, Quorum, Hinkley, Meyda Tiffany, & Adesso. Hurry! Limited time offers. Offers valid only while supplies last.